For a special treat, save that “vacation haircut” for the trip. 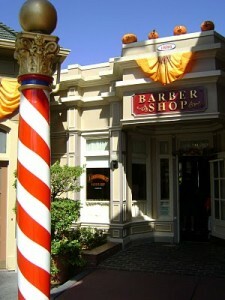 You can call ahead and reserve a trim at the Harmony Barbershop on Main Street in the Magic Kingdom. Step back in time and have a seat in the comfy barber chair. If you schedule the time just right, you may even catch some of the Share a Dream Come True parade from the shop. 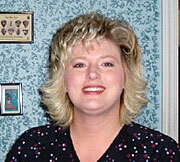 Harmony Barber shop offers special “first haircut” packages. It makes a great memory! 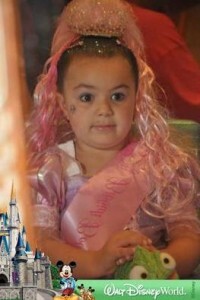 If you happen to be traveling with young “Disney Royalty”, Bibbidi Bobbidi Boutique is a must stop for you! This royal salon is where the young are magically transformed into princesses and knights. You can visit the Magic Kingdom location or Downtown Disney Marketplace. 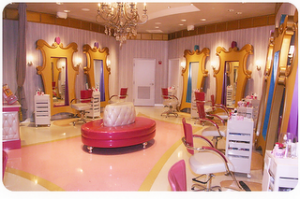 The Fairy Godmothers-in-training will primp and pamper to perfection! There are several packages to pick from including hairstyling, shimmering makeup, sashes, nail polish, t-shirts, princess cinch bag, etc. If you want to have the full experience, order the Castle Package which i ncludes everything mentioned above plus a full costume, wand, tiara accessories and photo package. The boutique offers a Knight Package for the young gentlemen. They will receive a mighty sword and shield plus a hair styling. makeover and training from a veteran pirate. 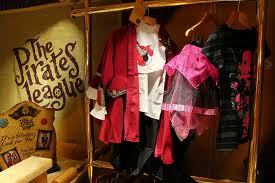 Pick from 4 packages: Jake and the Never Land Pirates, The First Mate, Empress and Mermaid. You will be given a new name and learn some pirate maneuvers. When your transformation is complete, step into the Secret Room where your Pirate Portrait is taken and the Pirate Masters reveal their hidden treasure. After taking the official Pirate Oath, you will take part in the Parade of Pirates in Adventureland. “More Pirates! ” You say? “Then Pirates and Pals Fireworks Voyage”, I would respond. Set sail on the Seven Seas Lagoon on a voyage full of song, swashbuckling tales and daring pirates. 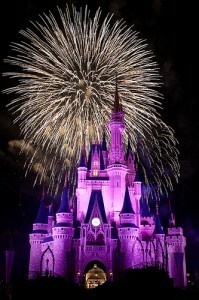 Top it all off with a dazzling display of Magic Kingdom Wishes Fireworks. The adventure begins at the Contemporary Resort where you will gather will your sailing mates. Before you head out for the cruise, you’re presented with beverages and a snack buffet that includes fruit, popcorn and other goodies. 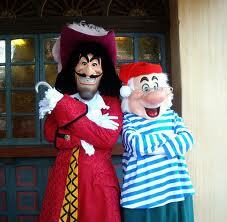 As you head toward the dock, you are greeted by Captain Hook and Mr. Smee. This is a great opportunity for photos! As you lift anchor, you will be entertained by your first mate, turned comedian, and take part in a Disney trivia game. On select nights, the voyage includes a close up view of the Electrical Water Pageant. The evening ends with a breathtaking vantage of the Wishes Fireworks extravaganza, accompanied by music. The next time you are planning your magical Disney World vacation, think of these special “extras” that you can experience. Ask your Travel Pixie from Our Laughing Place Travel for more suggestions. We are always happy to help!